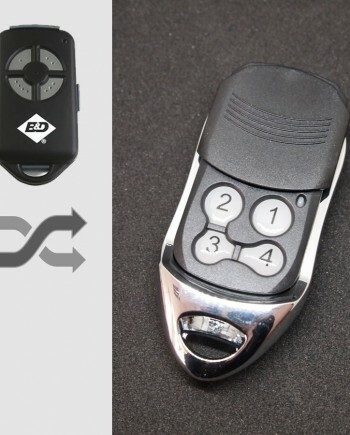 An aftermarket compatible remote, perfectly replaces your plastic DoorHan remote control, works where DoorHan Transmitter 4 works. Wondering if it works same as DoorHan Transmitter 4 remote? Watch our video showing how we program it to DoorHan standalone receiver. 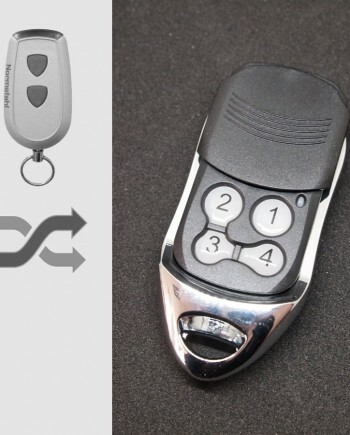 Our DoorHan #D2 compatible remote replaces many DoorHan remote control models including genuine DoorHan Transmitter 4 key fob remotes, as well as other DoorHan remote models such as Transmitter-2, Transmitter Premium etc, it also works with DoorHan radio remote systems using Wireless KeyPad control or DoorHan car transmitter. Compatible DoorHan sectional door operators and other automation systems includes RSD01 Hybrid series, RSD02 series residential sectional doors, ISD01 and ISD02 series industrial sectional doors, SECTIONAL 500, 750, FAST 750, 1200, DIY 500 residential sectional door motors, SHAFT 20, 30, 50, 60, 120 industrial sectional door motor, SLIDING 300, 800, 1300, 2100 sliding gates motor, LINEAR and LEVER swing gate motor, barriers motor as well as other standalone receivers made by DoorHan. Not compatible with some other DoorHan remote control models that are not using 433.92 MHz rolling code technology. 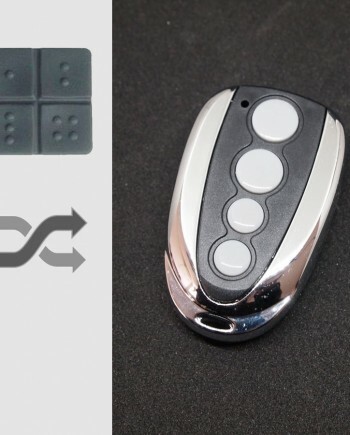 DoorHan remote controls are made by DoorHan industrial holding company, which occupies one of the leading positions on the market of gate and door automation in Russia and CIS countries. The main production and management company is headquartered in Russia in the Odintsovo district, Moscow region, with overseas factories in Europe and Asia. There are 22 industrial and warehouse complex opened in Russia and the CIS countries, total 9 sales offices and there are more than 8,000 dealers worldwide marketing DoorHan products. Based on our marketing research, the best-selling DoorHan remote control models are DoorHan Transmitter 4 and Transmitter-2 series. 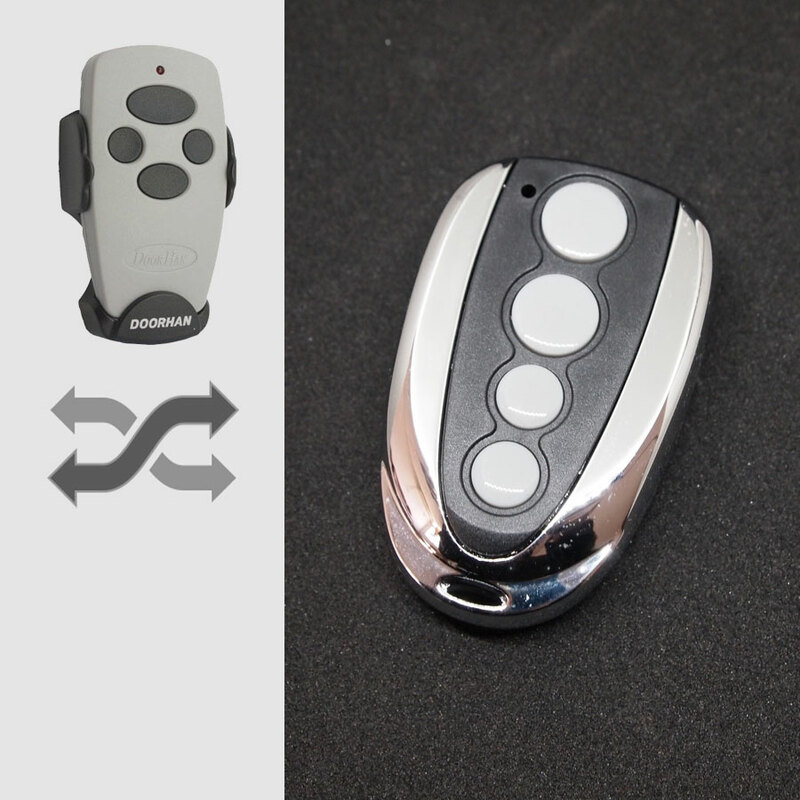 DoorHan Transmitter 4 features ergonomic design and a hole to attach the remote control to the keys, it uses rolling code technology with more than 16 million code combinations to prevent the interception of the signal, the programming is also very easy. DoorHan Transmitter 4 is the major transmitter made by DoorHan there are also other fully compatible remotes, like the two button version DoorHan Transmitter-2 and more robust metal body version Transmitter Premium. 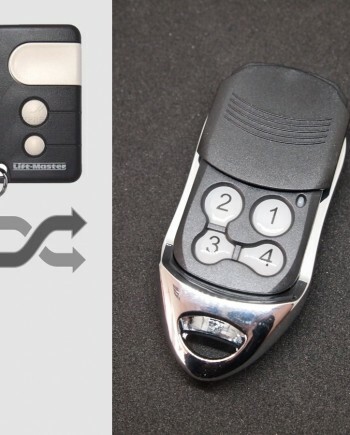 DoorHan brand remotes are widely used in Russia and CIS countries such as Kazakhstan, Ukraine etc, as well as Germany, Czech Republic, Poland, Australia and New Zealand, so there are many locksmiths, garage door opener & gate remote dealers need DoorHan remote controls in this region. 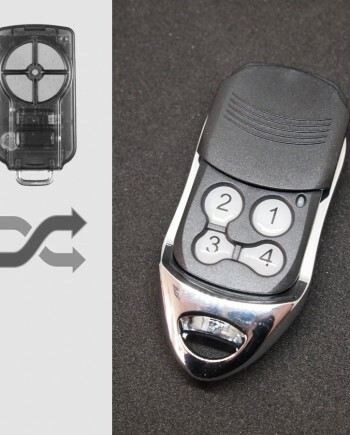 Official DoorHan Transmitter 4 remote control programming guide is missing on DoorHan website, you can find it on your door opener’s owner book, link to 3rd party manual is here. Watch programming video for DoorHan Transmitter 4 on YouTube, our replacement remote works the same as genuine DoorHan remotes, so they share the same programming procedure. We make DoorHan Transmitter 4 compatible remote in our factory in China, so we know our products better than anyone else in the world. We’re confident in our engineering team & quality control, actually our DoorHan compatible remote uses the same key components as genuine ones. 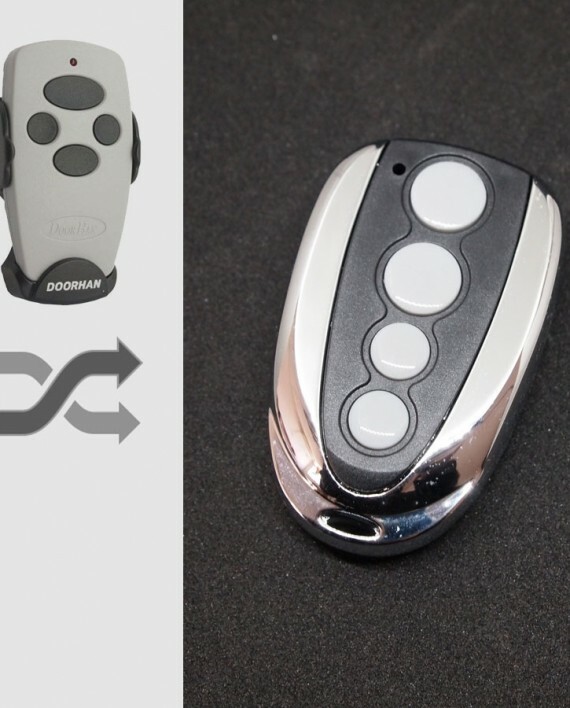 Comparing our factory-direct low price with high price of genuine DoorHan remote, you can have considerable profit by selling our products. 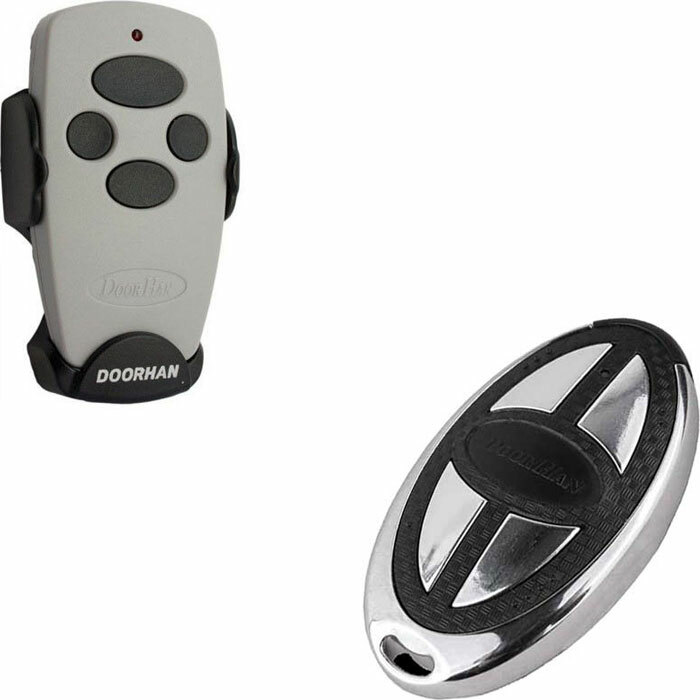 * Our DoorHan compatible remotes are white label products with optional logo printing service for bulk orders.